It’s a cool day as I sit in the cosy Cafe at Shopee Singapore, waiting for a certain face to show up. Right on the dot, a head pops through the sliding door, scanning for a potential interviewer – or perhaps just someone else? She glides into the Cafe, notices a messy makeshift workplace at the corner, and approaches me. 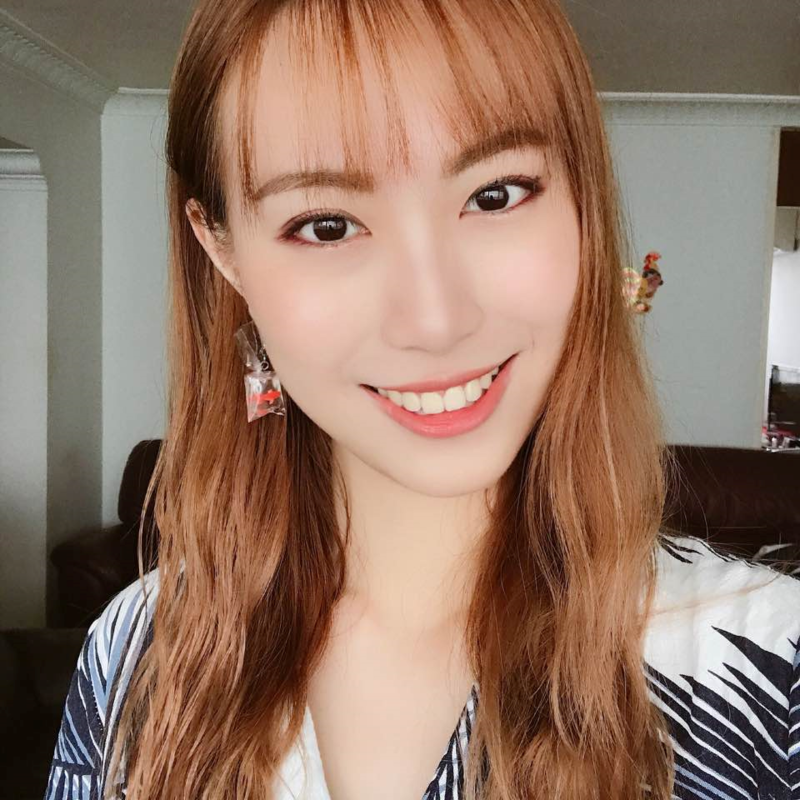 Like her bubbly persona on the Shopee Blog, Iris appears, slightly flustered but full of energy. 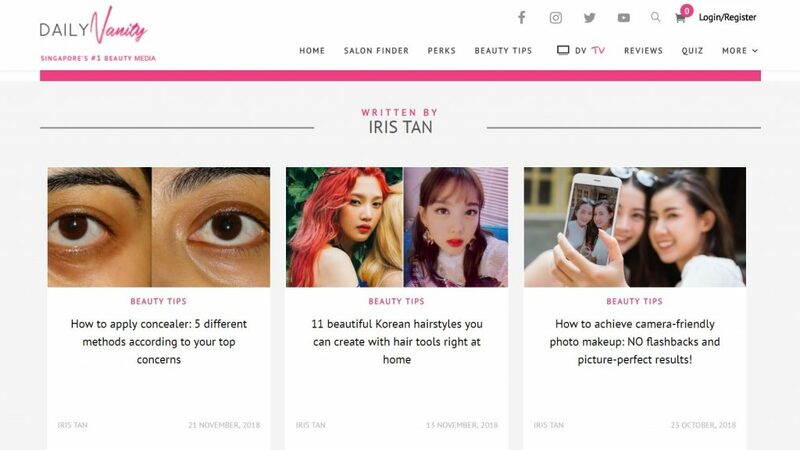 Iris Tan is a writer from the Search Engine Optimisation (SEO) wing of Shopee’s Brand & Growth Marketing team. Effervescent yet professional, she switches between work and play related questions without missing a beat, all while peppering the conversation with humour and laughter. Though Iris thinks she’s a better writer than speaker, the interview I had with her proves she’s equally good at both. Read on to find out more about SEO writing and be enthralled by some of Iris’ personal interests! Perry: Hi Iris! It’s a surreal experience, finally meeting someone from the other half of the Shopee Blog! Iris: Hi Perry, thank you for having me. The pleasure is mine as well! P: Let’s get right to it then – tell us about what you do at Shopee. I: Well, long story short, I write – all day and night! (laughs) I’m part of the creative team that forms one half of the SEO department. Our job revolves around content creation – from writing about food, beauty, to lifestyle – the list is endless! 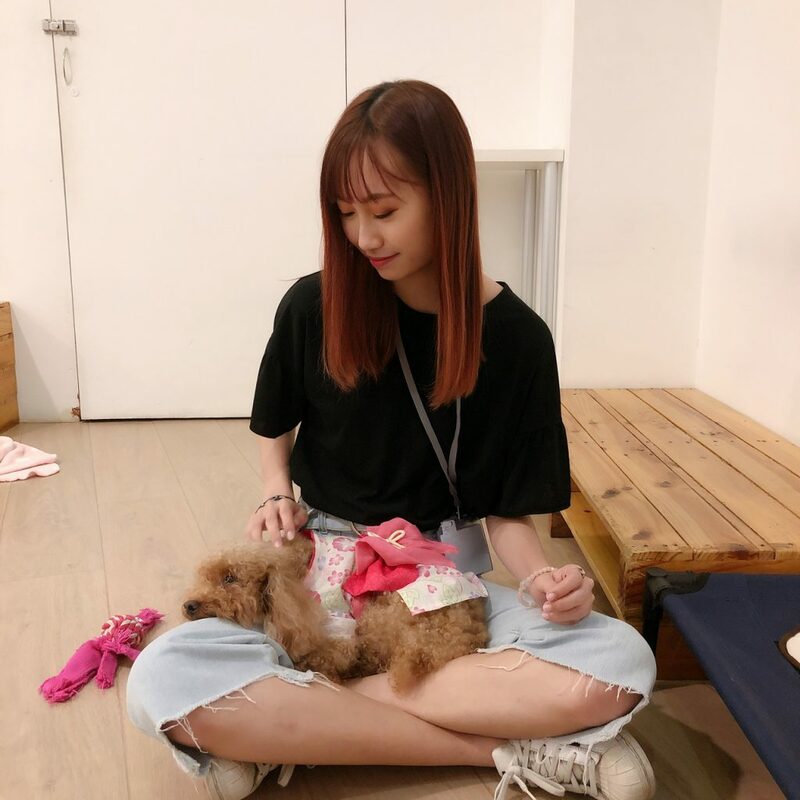 P: How does a normal day at Shopee Singapore pan out for you? 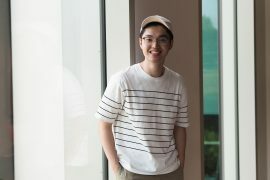 I: I work closely with my fellow team members from the technical side of the SEO department, and usually start the day by tracking our external linking performance. Thereafter, I utilise analytic softwares such as Google AdWords to predict the best topics to write about. This software is used to analyse the best keywords for our articles so as to boost our search engine performance and visibility. As trends in the e-commerce business shift in real-time, it’s even more important that we keep an ear to the ground and stay updated. For the rest of the day, it’s mostly writing – either for Shopee, or for other media outlets we’re currently collaborating with! P: Collaborations? How does that work? P: Having your work featured all over Singapore’s best infotainment sites is quite the achievement! Did you always expect to break into a career in writing? I: Yes, I’m grateful for the opportunities I get at Shopee! I discovered my passion for writing really early on in life, thanks to my favourite English teacher in Secondary school. Back then, I knew very little about SEO content writing, and therefore shelved my passion as a hobby. 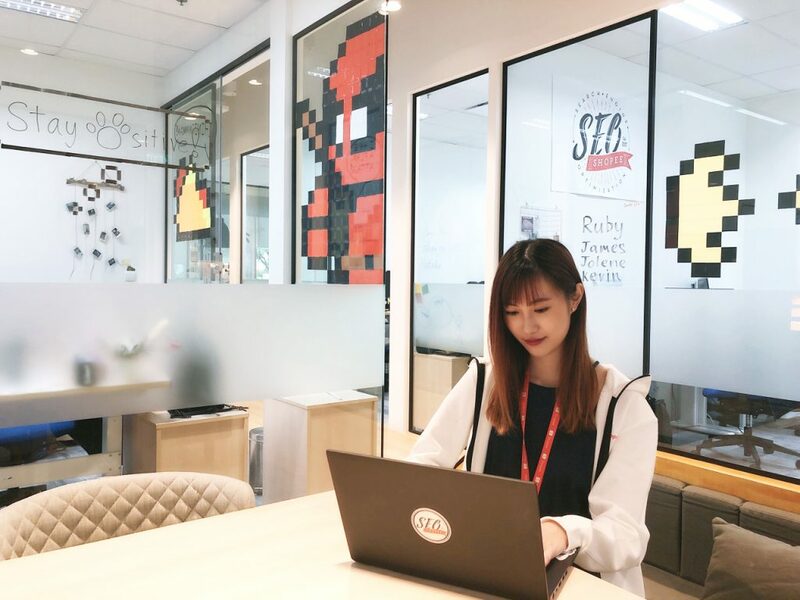 An internship I undertook with a digital marketing firm back in University changed that perception, and writing soon became a viable career option. 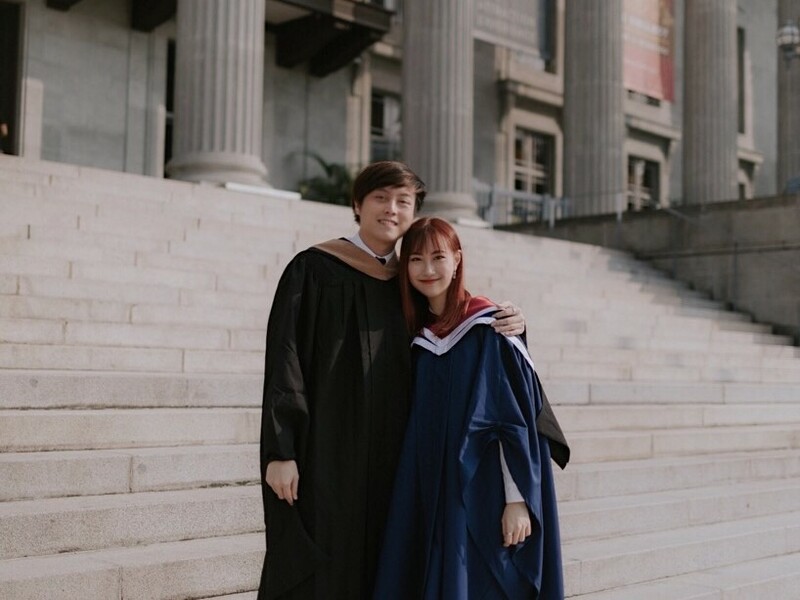 Similar to many fresh graduates, my job-hunting journey had its ups and downs. Fortunately, I stumbled upon Shopee’s opening for an SEO content writer, which was a great match with my career aspirations. 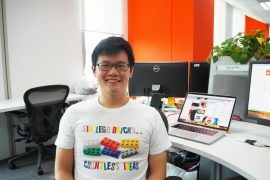 Ever since I started my career at Shopee Singapore, I’ve never looked back! 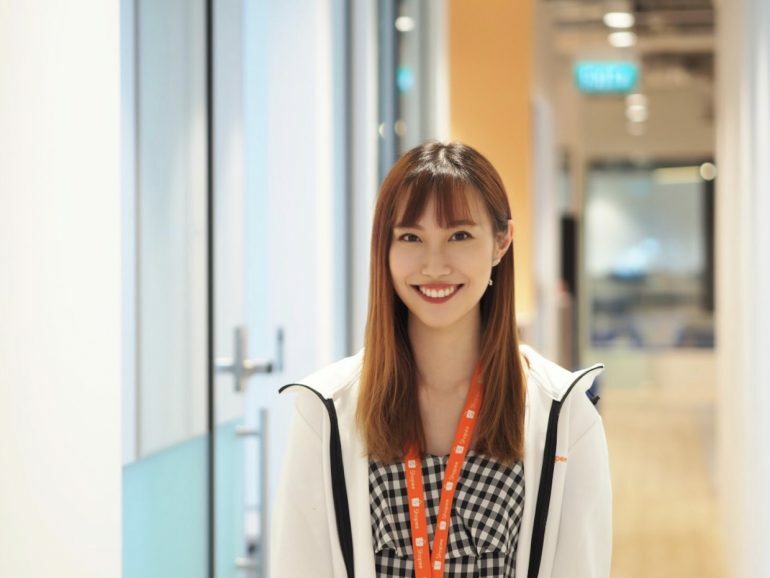 P: Good to know that you’ve found a fulfilling career at Shopee Singapore! You mentioned writing as a hobby – are there any projects you’ve done on the side that you’d like to show the world? P: Oh my, we’ve a beauty blogger with us today! 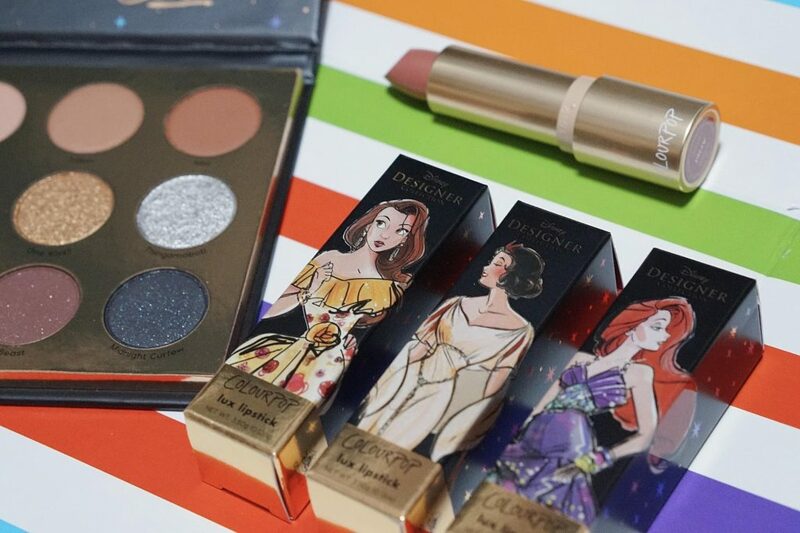 It does sound like you got into it earlier than most though – how did your interest in makeup begin? I: I have my mum to thank for that! (laughs) I first got into makeup in Secondary 1, an age where kids would usually sneak cosmetics from their mother’s stash – with terrible consequences if they got caught. My mother, however, was the complete opposite, and actually encouraged me to express myself through makeup. P: 150 lipsticks is an incredible amount! As you’ve accumulated such a large collection, are there certain types of lipstick you’ve grown to love, or learned to avoid? Now for the good things! In my opinion, a good lipstick should feel just like a lip balm, and shouldn’t stain everything it comes into contact with. My current personal favourite is Dior’s Lip Tattoo – oh dear, it’s like I’m writing an article for Shopee Singapore! It’s an occupational hazard, describing products like I’m trying to sell them! P: Maybe you’re just really talented at this! (laughs) Are your other interests aligned with what you’re usually writing about as well? I: Yes, they actually are… (blushes) I’m really fond of cafe-hopping, and I’m absolutely in love with places that serve all-day breakfast! I’m someone who has to eat while writing, so spending the entire day at a cafe eventually became a weekly affair. 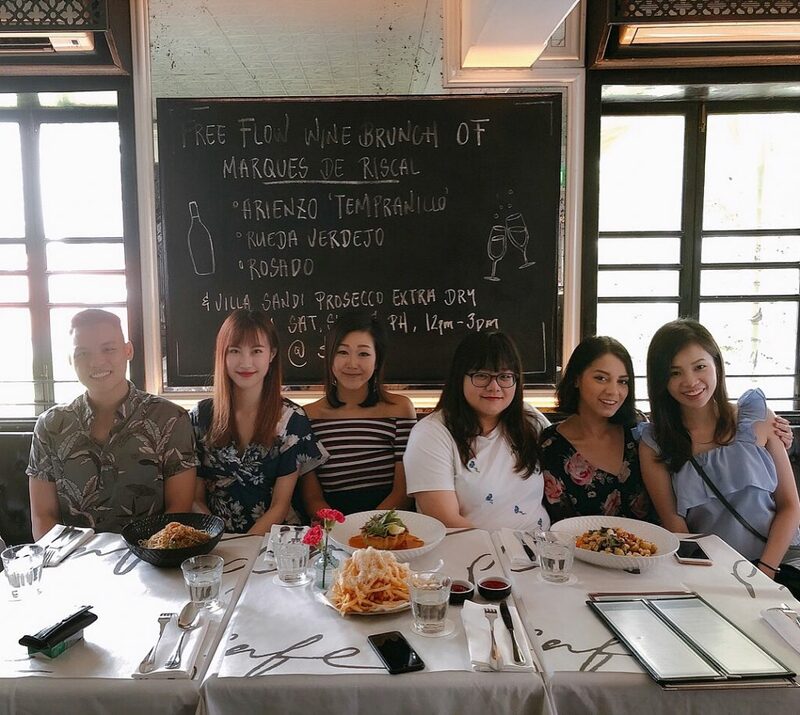 P: If I were to ask you to write an article about the best all-day breakfasts in Singapore, what would be your top three picks? Up next, The Garden Slug! 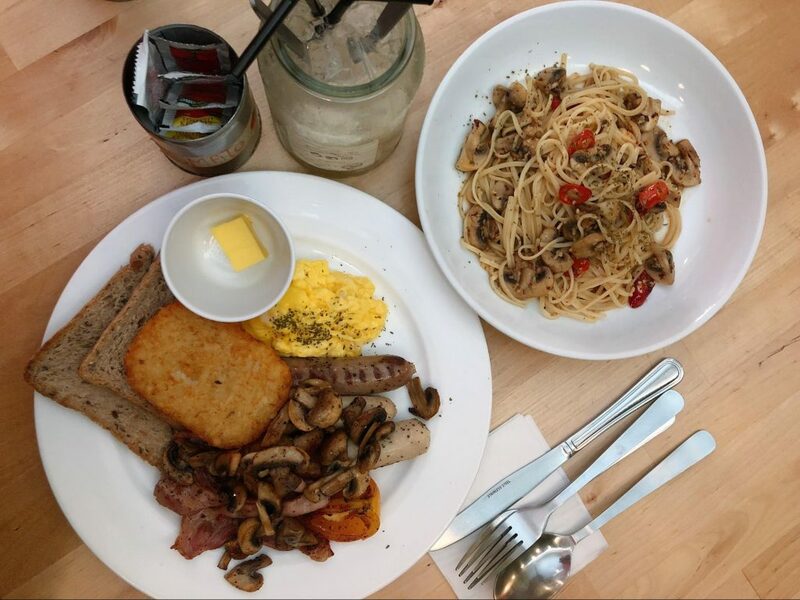 This little cafe is tucked right outside the main belt of bars and restaurants in Telok Kurau, and cooks up really generous servings of breakfast goodness in a retro-themed hideaway. This place is grossly underrated – you’ve to try it sometime! My last pick would probably be Lola’s Cafe – the ever-popular brunch option. Safe, fuss-free breakfast – at least until they switch out their menus at 3pm! P: Your expertise is impeccable – I’ll be sure to ask you for more recommendations soon. Now, let’s touch on something we’ve all seen on your profile – that you’re a part-time cat lover! I: Yes! My love for cats know no boundaries – I’ve bombarded my colleagues and friends with cute cat pictures to the point where they’re in love with them as well! I’d also love to own a cat one day – preferably a Munchkin Scottish Fold, the ones with stubby legs and folded ears! P: Your team must be really close – or really annoyed by each other! (laughs) Does being part of such a young department have its perks? I: Yes, it does! Everyone’s really welcoming and supportive, and the divide between the creative and technical teams are barely noticeable even though our job scopes are really different. 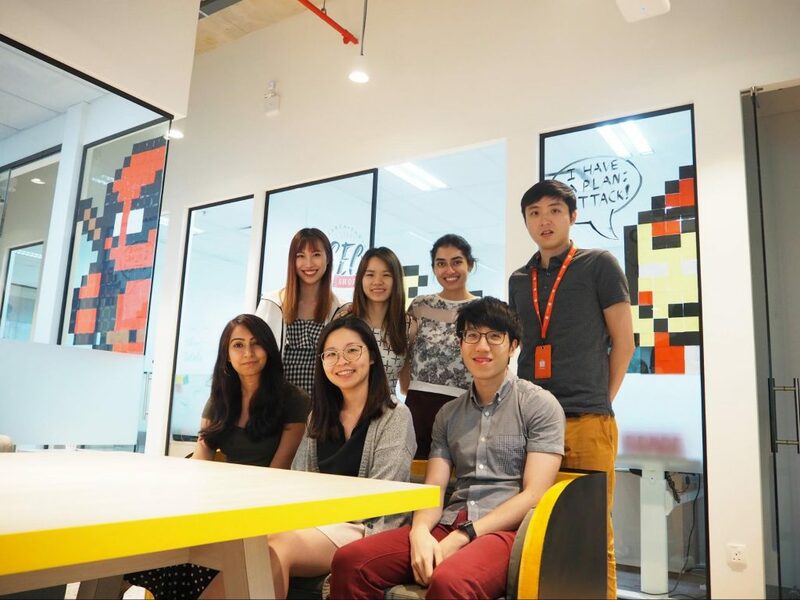 As a young team full of wacky ideas, we recently redecorated our office space with Post-It Notes and hand-drawn 8-bit graphics! P: Yes, I’ve seen some of your masterpieces! Tell us more about them. P: Wow, looks like your team is headed for great things! I: We definitely hope so! We want our articles and collaborations to be the beginning of something bigger. If we become Shopee’s centralised hub for SEO, we’ll be able to optimise all created content from various departments. It’ll mean bigger responsibilities and more work to do, but we’re all looking forward to the challenge. P: I’ll let you channel that motivation into your writing really soon, but to end off, do you have any advice for all the budding writers out there who are looking to ink their professions in prose? I: Yes – never settle for second best! These were golden words from someone dear, who has always encouraged me to be confident in myself and strive for perfection. Hustling, if done right, will get you far in various aspects of your professional life – from honing your craft to seizing the best opportunities. If you’re an undergraduate looking to pursue a career in writing, take every chance to grow. Build up a portfolio of your own by starting a blog, or by doing some freelance writing. Consider doing writing internships where you can, and try learning the basics of Google analytics. The value of content and the attention it generates will only keep on rising, so keep pushing forward! Thank you Iris for the wonderful conversation! At Shopee, we’re always looking to create something new and different, and you can be part of the revolution. Intrigued? 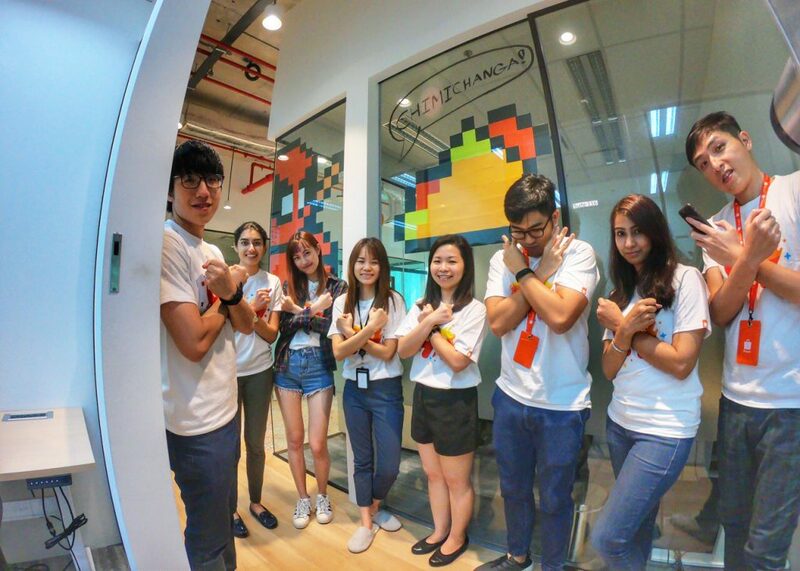 Kickstart your career at Shopee Singapore here!